Hope you can stop by to hear a talk by my husband, Pete Kovarik, on how our Arboretum got started…I still can’t believe how far we’ve come! 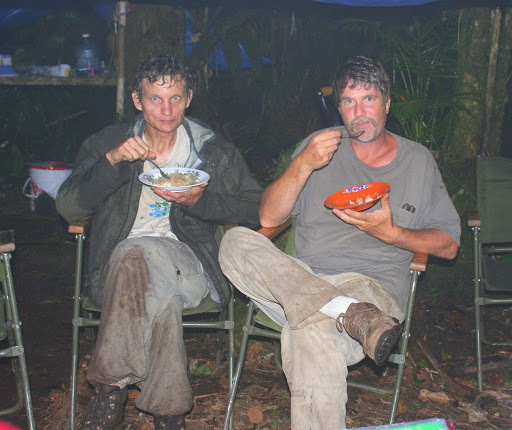 Going Green in the Neighborhood: Peter Kovarik, Ph.D.
That’s Pete on the left, looking soggy but dapper on a mountain somewhere in a jungle/rain forest in Belize. He was collecting insects with John Shuey, on the right. It’s one of my favorite pictures of Pete!